Thousand Trails Indian Lakes promises fun getaways for the whole family. It boasts many of the most desirable features of upscale RV resorts, and it is open most of the year. These campground memberships for sale will enable you to create unforgettable memories with your favorite people. 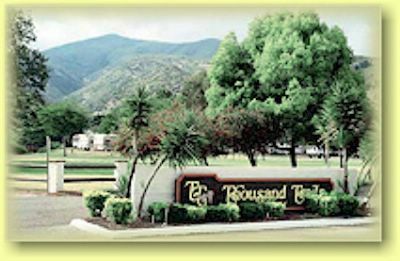 Thousand Trails Indian Lakes has all of the amenities that you would expect from popular RV resorts. The state-of-the-art restroom and shower facilities are convenient and comfortable, and the well-equipped clubhouse features everything your whole family needs to stay entertained for hours. There is a store where you can pick up necessities and a restaurant serving tasty and nutritious meals. The resort is located on the water, so you can get a site that makes it easy for you to boat and fish. With hiking trails, a golf course, a swimming pool and a variety of sport courts, you can have an incredibly active vacation. 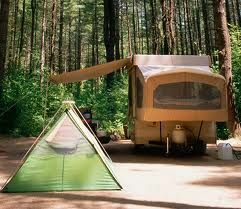 These campground memberships for sale let you choose the accommodations that you prefer. Each one of the oversized campsites offers a full hook-up or water and electric. Alternatively, you could elect to stay in one of the rustic cabins. These cozy accommodations sleep either four, six or eight guests. Each one has a full kitchen, and some are equipped with fire pits. RV resorts often are only as good as their location. Fortunately, this one is ideally situated close to both Indianapolis and Cincinnati, which means that there are tons of fun attractions in the region. Even better, the resort itself has so many amenities that it's possible to have an eventful vacation without wandering farther afield. Both nearby cities have numerous museums, historical sites and gardens to explore. There's an abundance of zoos and aquariums, and if you love art, you'll find several museums and galleries. The area is rich with outdoor attractions as well, so you'll be able to indulge your love of adventure. Thousand Trails Indian Lakes is the ideal resort for families that love to play together. With numerous amenities and an array of attractions, these campground memberships for sale are undoubtedly a great bargain. Contact Thousand Trails - Indian Lakes Specialist Today!